Today, I walked along Mt. 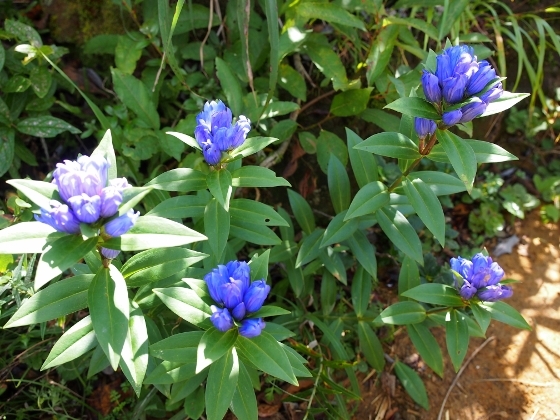 Adatara trail with gentian blooming all along the path. 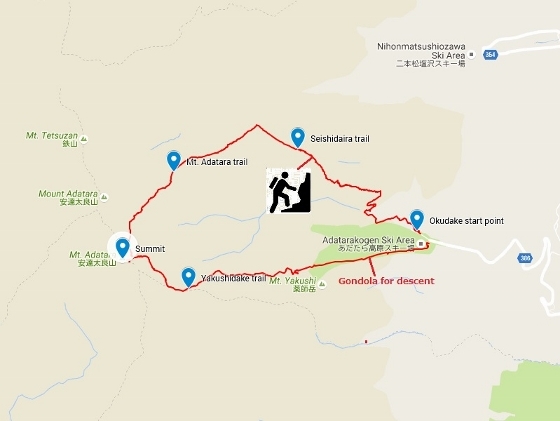 I came to the Okudake starting point of the trail using shuttle bus service from JR Nihonmatsu Station, which is available on weekends and maybe the easiest way using public transportation. The good news is that this shuttle bus will be available everyday between Oct. 1st and Nov. 8th because of the autumn color season. From the Okudake starting point, I started to climb towards Seishidaira, instead of using Gondola ropeway. All the way from Seishidaira to the summit area of Mt. 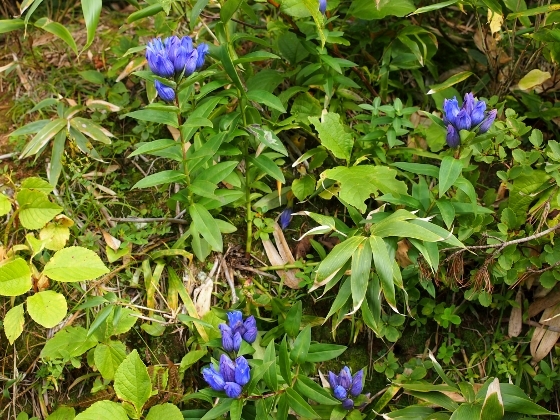 Adatara, and then descent through Yakushidaira, gentian flowers were in almost full bloom as shown above. 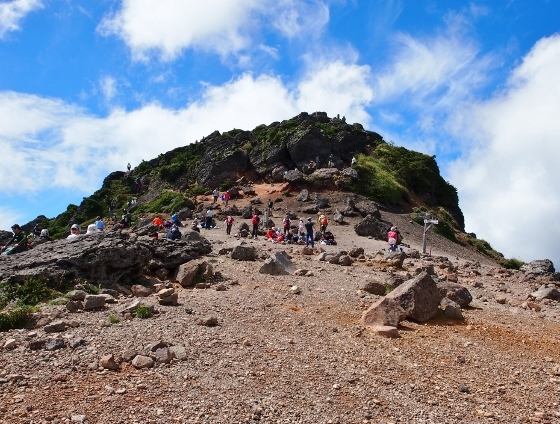 The summit area of the mountain was crowded with hikers as shown above. 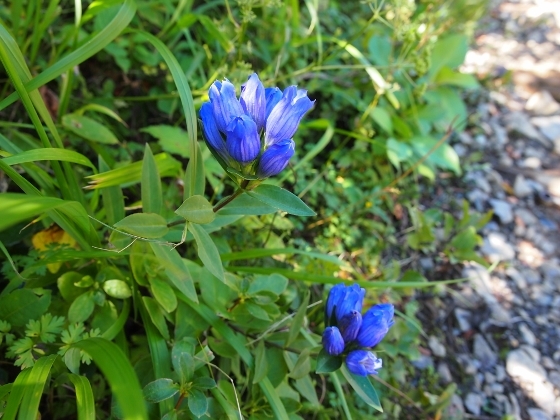 The pictures above show some of the gentian flowers along the trail. 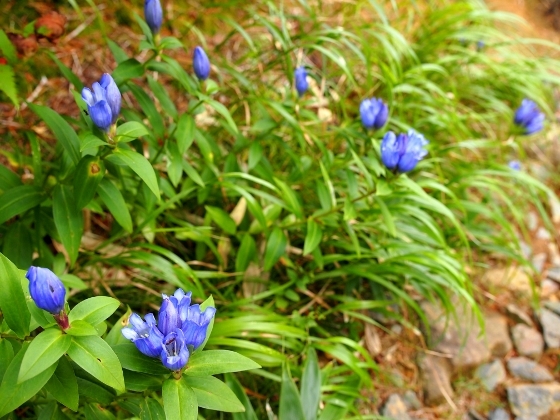 This type is named Gentiana triflora var. 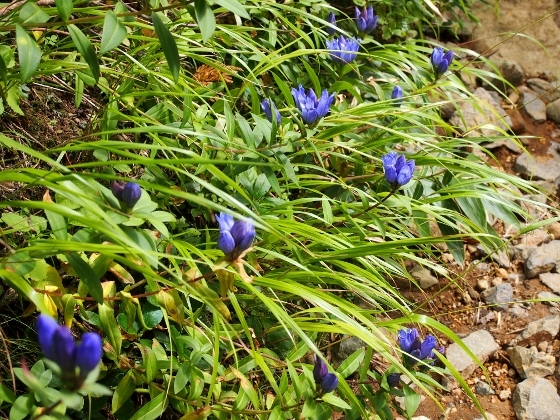 japonica subvar. montana. 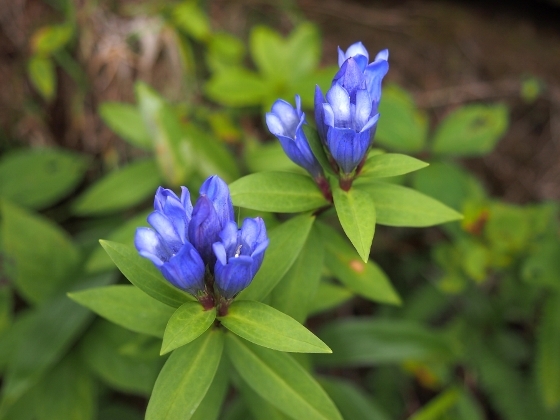 Gentian flowers are not concentrated in some parts, but they are seen scattered in small groups in all over the mountain slope or along the path. 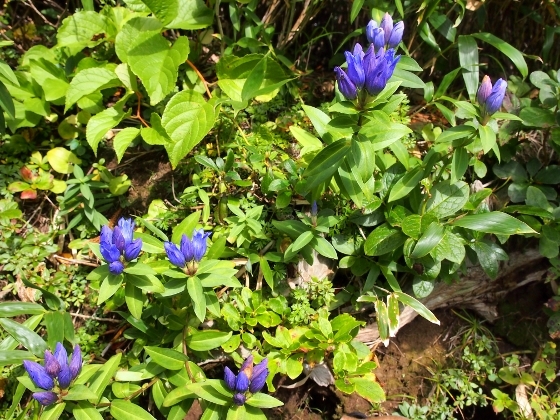 Yakushidake trail had more flowers than other trail paths. 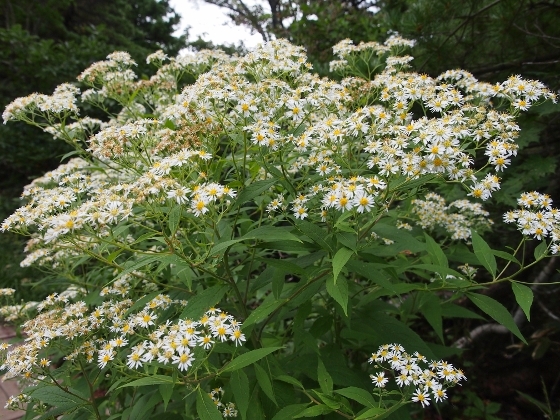 Besides gentian, I found a large plant of Aster glehnii or Gomana in Japanese, with hundreds of small white flowers as shown above.